Great for the period of Christmas, New Year`s, Canada Day, Valentine`s Day and other opportunities for the festivities, the 12 oz red glow cup will be the desired key to bring brightness to your next party. The glow cup has a duration of more than six hours and is for a single use only. You must strongly press the glow cup on the edge of a rigid surface to activate the glow liquid. When you hear a small crunch you must shake the cup to disperse the glow liquid. This cup is white plastic and holds a 12 oz beverage of your choice. 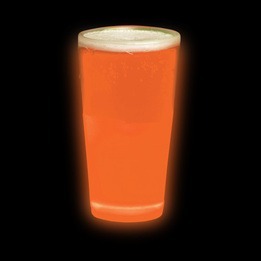 This 12 oz red glow cup is not recommended for children under the age of 5 years old.